We hop back to the 80’s for today’s trip down Summer movie memory lane to take a look at another one of the most highly regarded Summer movie seasons of all time. This year gave us James Bond, Batman, Indiana Jones, Peter Venkman, Martin Riggs, and Captain Kirk, all in the span of a few months… but how did it pan out? I was six years old in 1989, and though I did see at least one of these films in the theater, most of them were experienced on VHS or premium cable channels a few months or years later. Quick Reminder of the 7 Summer Movie Memories Protocol: These movies are picked to represent their Summer movie season as a whole, even if I’ve not seen them, although theatrical viewings do carry more weight as personal experiences. I picked them based on my memory of the Summer, a very subjective criteria to be sure. Talk about starting the season on the right note. It’s no secret that I’m a huge Indiana Jones fan, with Raiders of the Lost Ark quite possibly being my favorite film of all time. This, however, was my childhood Indy film. It was the standard back-up rental for any Saturday afternoon in our house when there wasn’t anything newer to watch, so the film’s high points became engrained in my mind. It’s great to know that the film holds up as an adult; I’d even go so far as to call it the best buddy action movie ever. The chemistry between Harrison Ford and Sean Connery is absolutely phenomenal, but the film excels even when neither are on screen: River Phoenix as the original young Indiana Jones is great, and his entire adventure in the opening of the film is pure Spielberg fun. 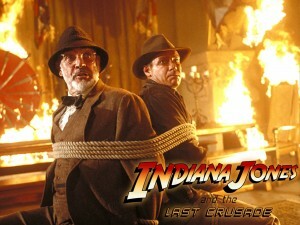 Indiana Jones & The Last Crusade is simply one of the all-time perfect popcorn films. Now, let’s look at what could be seen as the polar opposite of Last Crusade, despite having a similarly themed title. The fifth entry in the Star Trek cinematic canon is a film I didn’t see until the fallout of my enjoyment of JJ Abrams’ 2009 prequel/sequel/reboot and, of course, I had heard all the bad buzz that had accumulated for Star Trek V over the last twenty years. Well, that buzz wasn’t far off. 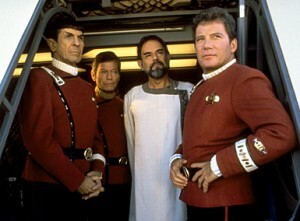 I can’t say Star Trek V is a film worth hating; in fact, you can tell its spirit is in the right place, and it tries to keep its footing in the characters we had come to know and love. However, director William Shatner just struggles to overcome a dodgy script and a massively depleted budget, and the whole thing is fairly hard to watch. Of course, Star Trek fans have to give it a shot, but it hurts that the impressive quality streak of Star Trek: The Motion Picture through Star Trek VI: The Undiscovered Country is marred by a pretty bad movie. 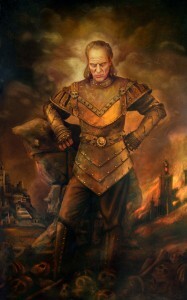 This also-maligned sequel is a film I’m much more familiar with than the original Ghostbusters. I’ve seen Ivan Reitman’s original classic only once, but Ghostbusters 2 is a film I watched weekly as a kid, having taped it during a free preview weekend of the Disney Channel. Now, it’s been years and years since I’ve seen this movie, so I can’t claim a very fresh perspective, but I always found it to be fun, charming, and when I finally caught the original in high school, I didn’t notice a huge gap in quality. I should probably revisit both, perhaps in reverse order, to see if that quality gap exists after all. 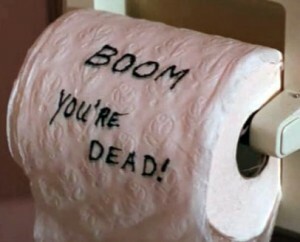 Here is a film that, after Jaws and Star Wars, helped to create the big budget Hollywood machine that we know today. 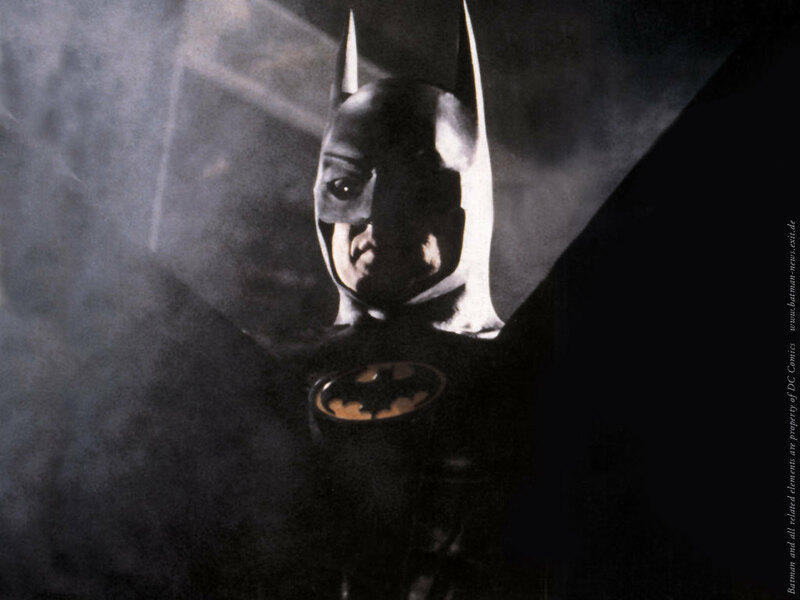 Despite being just six years old, I can tangibly remember details from the hype leading up to the release of Tim Burton’s first Batman movie. I remember talking with my older brother about how awesome the poster was, and how it looked so much different than the Adam West Batman shows we had been watching on the Family Channel. My parents took the family to see Batman for my brother’s birthday, and we were both hooked, though I did cleverly hide exactly how scared I was by the whole thing. I still preferred the safer Adam West Batman for a few months, but eventually, the toys and comics consumed me. My mom bought my brother a Batman comic one day while she was buying me some Goofy comics, but I’m not even sure if he ever even read it. It was the first superhero comic I ever read, and I’ve been an on-and-off superhero comic fan ever since. Batman mostly holds up after all these years. Plenty of criticism has been leveled at the film for its design-centered shallowness, and its lack of interest in Bruce Wayne as a character, but I think that – like Batman Forever or The Phantom – Tim Burton’s film isn’t interested in those things. Rather, it’s interested in bringing a comic book to life, and Batman works well in that way. It’s certainly the best film in the Burton/Schumacher continuity, and it’s fun to revisit every few years. In fact, the first act or so of the film are as burned into my brain as The Last Crusade and Ghostbusters 2, thanks to numerous viewings on a VHS tape that ran out right after Batman rescues Vicki Vale from the museum. The Prince song “Partyman” eventually became a sad harbinger of the end to my Batman viewing experience on those rainy afternoons. 5.) June 23rd – Honey, I Shrunk the Kids! The first feature from Spielberg acolyte Joe Johnston still holds up as a fun family adventure. It only takes a quick glance at today’s equivalent films, like Journey 2: The Mysterious Island, to see that while Honey, I Shrunk the Kids! is not high art, it does take a certain measure of skill and discipline to put together a fluffy, fun piece of entertainment. Sadly, today’s family adventure films have less in common with Disney classics like Swiss Family Robinson, and more in common with Disney Channel programming like Hanna Montana: Bratty kids wise beyond their years, inane references to pop culture, and doddering adults that need hip children to light their paths. Sure, the children in Honey, I Shrunk the Kids! are still wise beyond their years, but their central motivation is the same as the characters in E.T. or The Goonies: to repair a lost connection or create a new one. This movie especially stands out for me because it’s one of the only films I’ve ever seen at a drive-through theater, specifically the last one my home town ever had. My parents threw a blanket on top of our van so we could lay there, munching on popcorn. I can’t recall whether or not that was during the movie’s first run, or a revival a year or two later, but I could not have been much older than I was in 1989. Quick Tangent: When my parents took me and my siblings to Disney’s MGM Studios (now Hollywood Studios) in the early 90’s, there was a feature in which they mocked up the “flying bee” set from this film and allowed visitors to re-enact the scene. My brother and sister were chosen as the “actors” that rode the giant animatronic bee, and I got picked to “direct”… which essentially consisted of me pushing the record button on the camera. “This time…” (toilet lands on hood of car) “…they’re not takin’ any crap.” The trailer for Lethal Weapon 2 gives us a very good idea of exactly what we’re going to get: an extrapolation of not just the comedy, but the scale of the first Lethal Weapon movie. It’s commonly accepted that Lethal Weapon 2 is the best film in Richard Donner’s franchise, and although I hold the fourth chapter in higher regard than most, I absolutely agree. The depths that the story takes Murtaugh and especially Riggs are useful, loaded, and harrowing. It also doesn’t hurt that the action in Lethal Weapon 2 is quite good, with a highlight being a maniacal Riggs using a 4WD truck to tear down an entire house. I didn’t see this film until several years after my dad unrelentingly rented Lethal Weapon 3 over and over again (for some unknown reason), and I was pleasantly surprised at how fluid and fast-paced it was compared to that more obligatory – yet not awful – sequel. I think it might be time to revisit this franchise, as I have an appreciation for the kind of director that Richard Donner has always been: A character-centered journeyman with a penchant for action and wit. I’ve not seen all of the films Rob Reiner managed to knock out during his 80’s hot streak, but I have seen this, his last of the decade. This past Valentine’s Day, my wife and I finally caught up with what has become a classic of the romantic comedy genre, discovering all the hype was well deserved. When Harry Met Sally is not only hilarious and wonderfully paced, it’s also suspenseful and earnest. 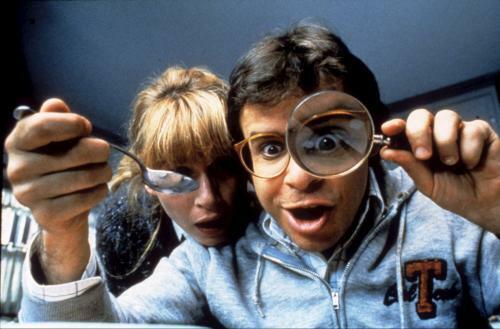 As with Honey, I Shrunk the Kids!, this film functions as a relic of a different age of Hollywood filmmaking, when films had identifiable demographics, but were not enslaved to them. Wow, what a fantastic summer. I didn’t even get to cover some of those impressive honorable mentions, several of which I haven’t seen (Do The Right Thing) or really need to revisit (The Abyss). All in all, I’d throw the summer of 1989 very on the list of all-time movie summers, thanks to a very broad array of absolutely fantastic films. What did you think of the summer movie season of 1989? Leave a comment below! I’d especially love to hear from people that were hitting the theater every week back then. That’s about it! Be sure to check out Matt and Francesca’s discussion of yet another of the summer’s controversial blockbusters, The Amazing Spider-Man! I also want to throw out a quick thanks to the Sidewalk Film Festival for selecting my filmmaking group’s latest movie, The Nocturnal Third, to screen at their event in August. You can now watch our first feature, A Genesis Found, for absolutely free and in HD. Also, check out our blog for an open call for short film scripts. If you’re a writer or interested in movie-making, this might be a great opportunity for you. Thanks for reading!